Who buys properties in Germany? Properties in Germany - one of the most popular in Europe. This market is attracting both private customers and large investors for several reasons - stable economic and political situation, the high living standard and social protection for every citizen who owns property in Germany. And last but not the least, the local housing market is able not only to protect the capital safer than many banks, but also significantly to increase the welfare of the owners. Buyers of real estate in Germany are those who seek to protect their capital, and those who wish to significantly improve their standard of living and move to the stable and developed country. But they both in the first place get confidence in the future. The housing market in Germany was practically not affected by the global financial crisis. Even the opposite - the housing market in large cities was rising in prices and rental rates were increased. All this suggests that even a small flat in Germany can bring high rental incomes - in fact, most of the urban population in the country consists of leaseholders. 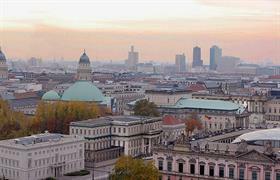 Currently, among the most attractive and promising markets of Germany can be distinguished Berlin. Property in the capital of this country - one of the most affordable in Europe. For many years, this market has been underestimated, but now the situation is changing very rapidly. Lodging in Berlin - the most common purchase among foreigners. Moreover, on the housing market of the German capital could be found very attractive offers not only in secondary, but also in the primary segment, inclusive property directly from the builder at any stage of construction. Are you interested in real estate in Germany? German housing market is fully open and accessible to foreign buyers. All transactions are concluded in the presence of a notary, which makes them absolutely safe and transparent. You may also become an owner of a flat or a house in the country – in the capacity of a private buyer or as a legal entity - all depends on the goals of investors and the further use of the object.